This wireless LAN USB stick can be connected to a computer for the connection to a WLAN network. 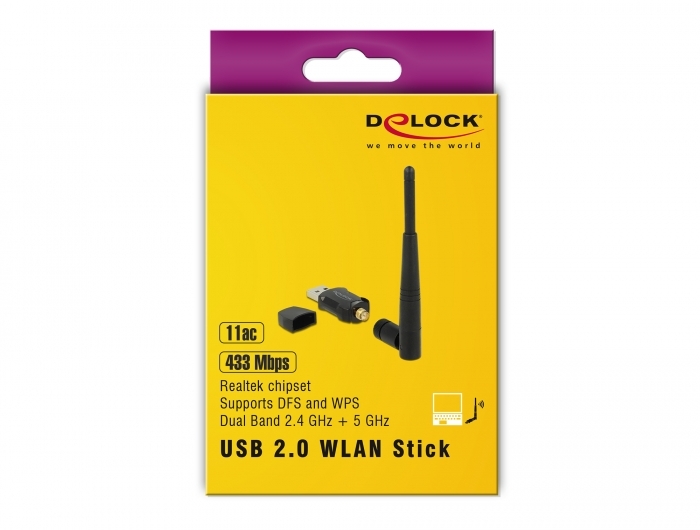 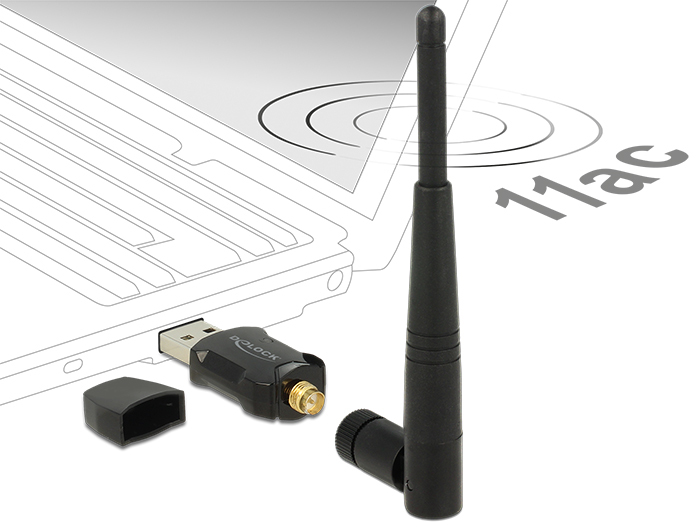 The WLAN stick can be connected to an AccessPoint (HotSpot) or WLAN-router in a 2.4 GHz and 5 GHz band. 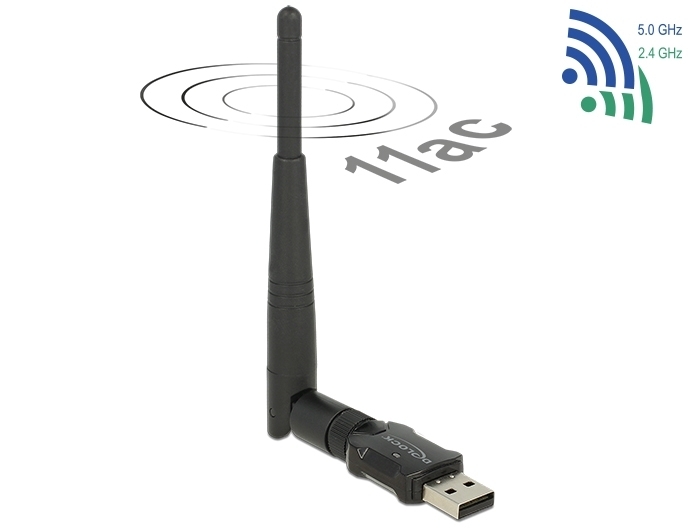 Furthermore it enables an adhoc connection to a second computer.